pe pe, Yianni, shadow 79 and 3 others like this. 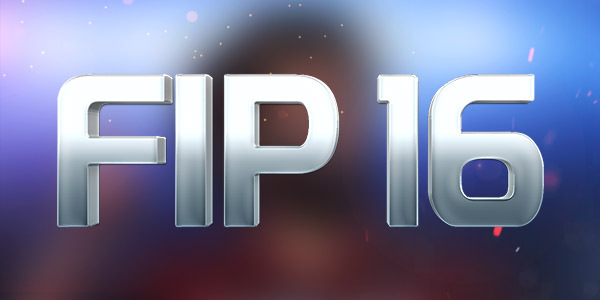 After a near two year absence, FIP16 is returning! This edition will use material converted from FIFA 19 as a base to update you game for the 18/19 season. It also will include additional new leagues, teams and other improvements. -All FIFA 19 leagues and teams. -Brazilian Serie A generic rosters replaced with real ones and missing teams added. -New rest of world teams including missing teams from CL and EL group stage. We are not accepting requests for features, but feel free to make suggestions. Please do not ask about a release date, we prefer not to speculate. destind, rlc27, shadow 79 and 15 others like this. Amazing news! FIFA 16 is still alive and with this great patch it will be an amazing season. Really looking forward to it and can't wait to see more news. fane92 and The Wizard like this. you need help with a kit or minikit? hi, many international teams in fifa 19 without official kits. can you replace them with originals instead of fakes in fifa 16? I've been waiting for this mod for a long time after having the Moddingway Mod for almost three years. I am not saying that Moddingway Mod was bad, I am just saying that it felt unfinished: for example: FIFA World Cup no custom scoreboard, UEFA Euro no custom scoreboard, Confederations Cup, UCL, UEL, etc, missing balls and even some players. I hope this mod will be the best! I'm doing a similar patch for FIFA 14. I may have some of the teams and squads you might want. My dlc files are now pretty stable if they are of any help. Happy new year everyone! Sorry for the long time to respond, there are many posts to respond to. Mogolos is helping, those leagues are his projects. I have all 18/19 rosters, kits, mini kits and kit numbers. Do you have any additional material for the Russian Premier League? If you can continue making the missing Serie B kits, it would be very helpful. I would prefer if keep Serie B as 19 teams for realism. I have been comparing your proposal to the real format and EA's format. I think this summarises the relevant rounds correctly. R1 is only relevant to the real format and the quarter finals onwards would be identical in all instances. I think EA's format matches the real one much closer than your proposal. Replacing all generic kits with real ones is something I am hoping to do. I think you need to be realistic with your expectations. A patch developed for 3 years will have much more content than one developed for a few weeks. Thanks for your offer. I want to finish the current plans and ensure career mode is stable before considering further expansions. I will let you know. The problem with this proposal is it creates a fantasy preliminary round. If the remaining 10 3. Liga teams where included, the most logical adjustment would be to enter the bottom 10 1. Bundesliga teams to the first round (round of 64). They enter at that stage in the real tournament anyway. Thanks for your offer. If you are talking about the missing CL/EL group stage teams, Mogolos has already made them for the patch. nikolapfc89 and Tavadi like this.